Today’s recipe is another edition of “Things I Make For My Dad”. Today is my Dad’s birthday (Happy Birthday Dad!) and we celebrated over the past weekend. So naturally, I provided his very own chocolate bomb dessert. You may remember a past “Dad Dessert” called the Triple Chocolate Orange Torte. This is a berry version of that recipe. If you want to go crazy with the chocolate (and you’re not into the fruit/chocolate combination) then you could use ganache for the filling. Double the recipe for triple chocolate torte here for a 2-layer cake (with or without orange zest). 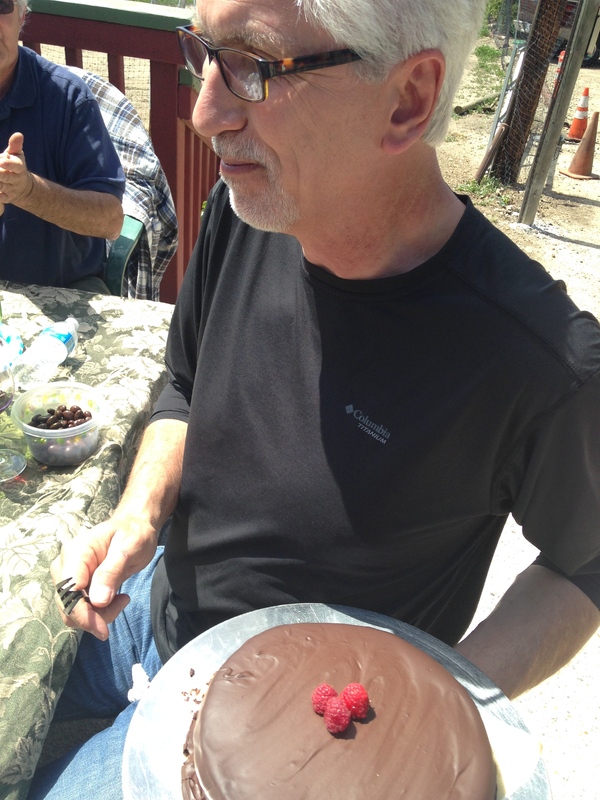 Make the torte recipe (doubled) and bake in a 10 inch springform or round cake pan (grease or line with parchment). Bake for 20-25 mins at 350. Once cooled, the cake will shrink away form the sides of the pan. Using a flat spatula, spread raspberry spread on one of the cooled cakes. Flip the other cake over and lay it on top of the raspberry layer. In a saucepan, heat coconut milk until scalding but do not bring to a boil. Place chocolate in a bowl and pour hot coconut milk over the top. Stir until thick, creamy, and well combined. Place cake on a cooling rack over a baking sheet. 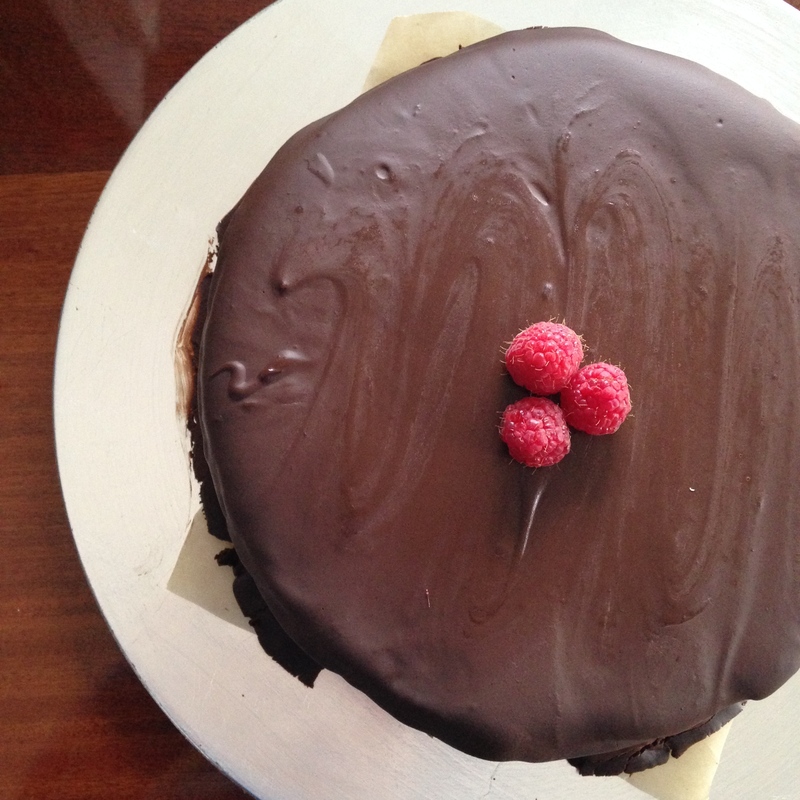 Pour ganache over the cake and tilt the baking sheet to completely cover the cake top and sides. Chill until ganache is firm and garnish with fresh raspberries, chocolate shavings, orange zest curls… Then give it to your dad and he’ll eat it all.